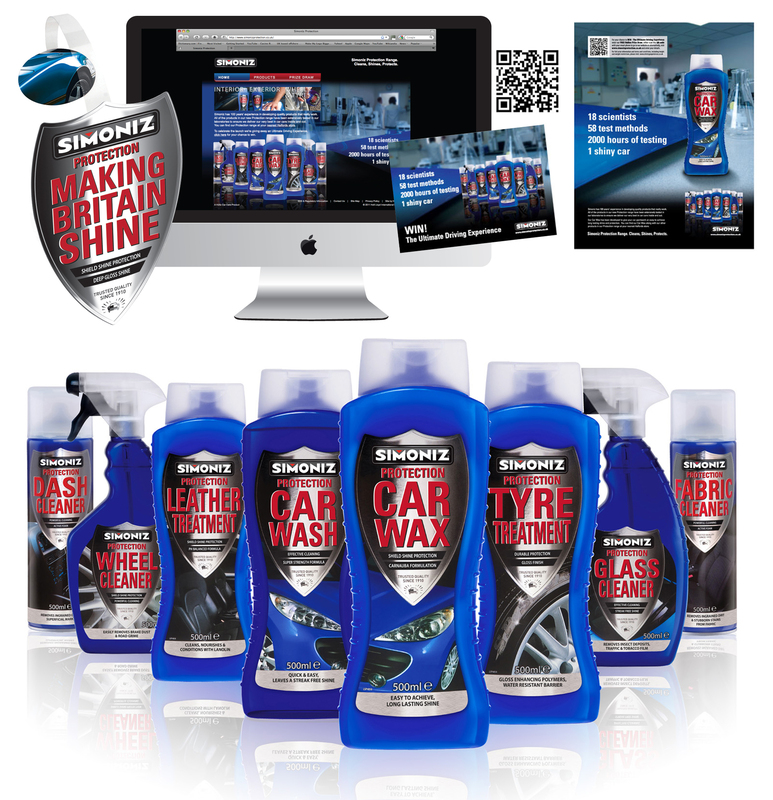 For the launch of a new range of professional car care products we created a National press campaign. We created this campaign using QR code technology. The QR code enabled users to scan the advert on their smart device and link directly to the microsite. We designed and built for the product launch. This technological aspect tied in really well with the chosen concept which focused on the innovation behind the products. All the products were developed in Honeywell’s labs and had also undergone rigorous testing. ’18 scientists, 58 test methods, 2000 hours of testing = 1 shiny car’. The campaign also included an online competition to promote the range and encourage visitors to the site. A direct mail campaign was also included to raise awareness of the launch of the new range among the core target audience of car enthusiasts. We also created the packaging and POS for the product, which was initially to be sold exclusively at Halfords.